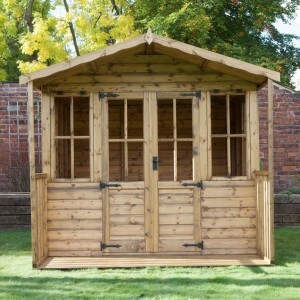 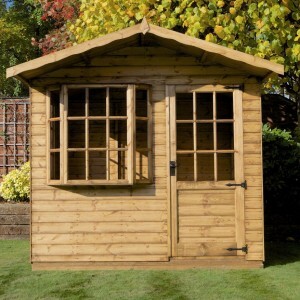 The Cromwell is a dual purpose summerhouse with an integral storage shed. 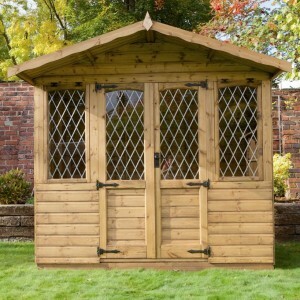 This multi-purpose garden building comes with a georgian window and double doors on the summerhouse. 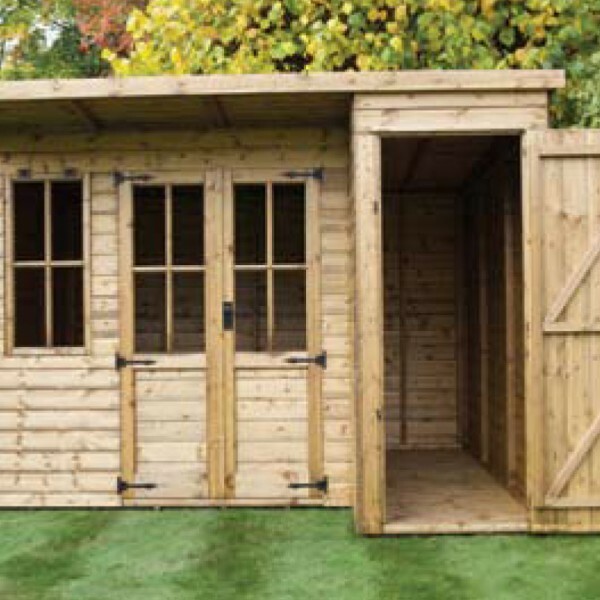 Summerhouse is a 7’ wide x 6’. 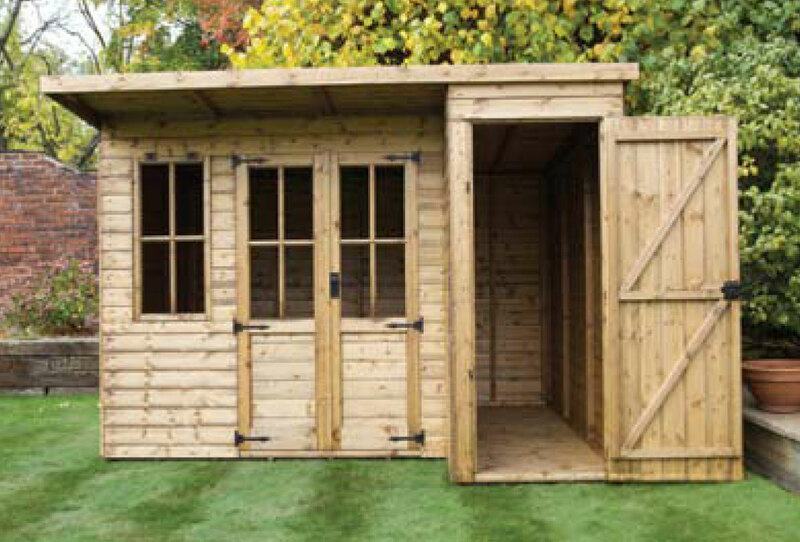 Store building is 3’ wide x 8’.